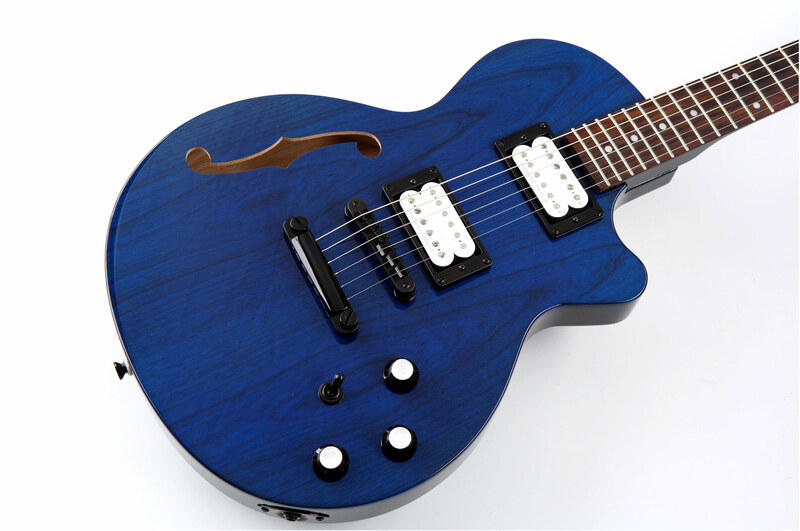 Help kickstart Moniker Guitars new semi-hollow body guitars. Moniker Guitars are a great company that allow customers to design their own guitar online using a virtual guitar builder, and then purchase the real thing for a great price. Currently they have two solidbody options for customers to build from, but Moniker Guitars are looking to add to that lineup with two semi-holllow body designs. Their Kickstarter campaign seeks to raise $50,000 to launch a line of semi-hollow electric guitars that can be designed along side their existing solid body designs on their website. They are over half-way towards reaching their goal, but there are only seven days left for the campaign. If you like the idea of being able to build your own guitar in a virtual environment and then purchase the real thing, and have a few $$$ available to help with this great campaign then please pledge. Moniker have a bunch of great rewards for those who pledge towards the campaign, including thsirts, posters, custom pickguards, and even offers to repaint one of your own guitars, and a new Moniker Guitar for yourself. Check out the Moniker Guitars guitar configurator and have fun spec-ing out your own guitar, and get an idea of what Moniker do. And again, if you can, pledge towards this great campaign.